Annalee Newitz, Aparna Nancherla, Charlie Jane Anders, and others TBA. Colson Whitehead‘s new novel is The Underground Railroad. His previous books include The Noble Hustle: Poker, Beef Jerky & Death, Zone One, Sag Harbor, Apex Hides The Hurt, The Colossus of New York, John Henry Days and The Intuitionist. He has received a MacArthur Fellowship, A Guggenheim Fellowship, and a fellowship at the Cullman Center for Scholars and Writers. 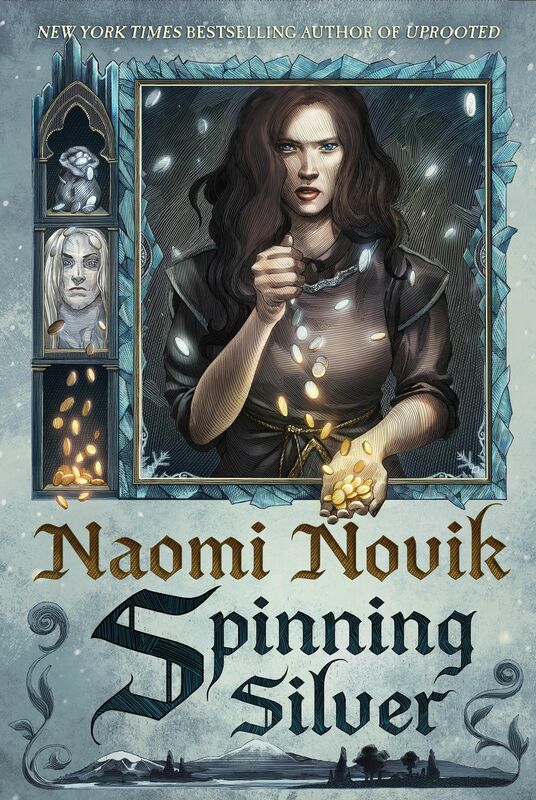 Naomi Novik‘s latest book is Uprooted. She’s also the author of the Temeraire series of novels, including His Majesty’s Dragon, Throne of Jade, Black Powder War, Empire of Ivory, Victory of Eagles and Tongues of Serpents. She also wrote the graphic novel Will Supervillains Be on the Final? She won the Campbell Award for Best New Writer, the Compton Crook Award for Best First Novel, and the Locus Award for Best First Novel. Annalee Newitz is the author of Scatter, Adapt, and Remember: How Humans Will Survive a Mass Exctinction. She’s also the author of Autonomous, a novel coming in 2017 from Tor Books. She is the Tech Culture Editor at Ars Technica, and the founding editor of io9. She was the recipient of a Knight Science Journalism Fellowship at MIT. Aparna Nancherla has written for Late Night With Seth Meyers, and she wrote for (and sometimes appeared on) Totally Biased with W. Kamau Bell. Other comedy credits include Conan on TBS, Meltdown with Jonah and Kumail, @midnight, and Adam Devine’s House Party on Comedy Central, Seeso’s Night Train with Wyatt Cenac, VH1’s “I Love the 2000s”, and Fuse’s White Guy Talk Show. Writers With Drinks has won numerous “Best Ofs” from magazines and newspapers, and has been mentioned in 7×7, Spin Magazine and one of Armistead Maupin’s Tales of the City novels. The spoken word “variety show” mixes genres to raise money for local causes. 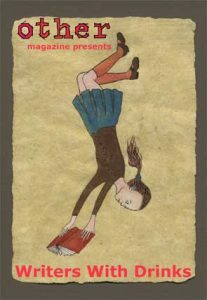 The award-winning show includes poetry, stand-up comedy, science fiction, fantasy, romance, mystery, literary fiction, erotica, memoir, zines and blogs in a freewheeling format.